hd00:16LONDON - April 7: Tourists in Trafalgar Square London UK April 7, 2013. Sunset in Trafalgar Square, view to the National Gallery. 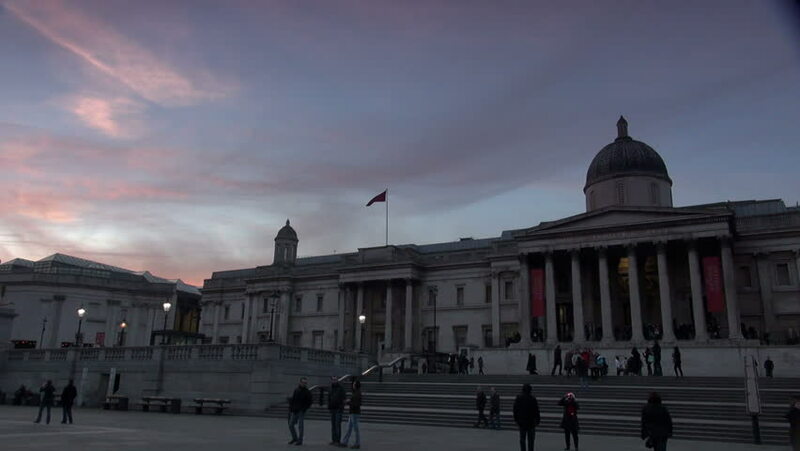 hd00:17England - CIRCA 2014: Shot of The National Gallery that pans left to reveal Trafalgar Square in winter. A day time clip that shows the Christmas Tree, the fountain and Nelsons Column.